Stairmasters or stair stepping machines have a number of moving parts. These parts can break with little warning, especially when the machines aren’t maintained well. Fitness Machine Technicians will save you the hassle of having to worry about maintaining your equipment. Whether you have a broken stepper machine or you want someone to handle the regular maintenance, our technicians can help! 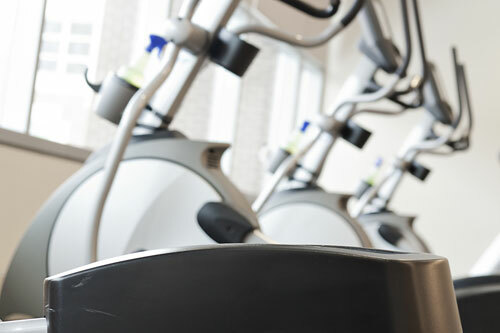 Let Fitness Machine Technicians regularly service your fitness equipment, so you won’t need to worry about paying for a costly repair down the line! Want to get started with Fitness Machine Technicians? Request a tech by completing our contact form. Wipe down unit. Keep clean of dust and dirt. Make sure tension works properly. Make sure steps are stable (no wobbling). Remove shroud and wipe down pulleys and belts. Check all pivot points and lube with grease. Clean chains by wiping down with a clean towel. Remove any grease buildup on chains. Check all linkage to ensure they are tight. Make sure upper display is functioning properly (tension, speed, time). Call local service provider for detailed cleaning.